This little farmer fits great into any farm themed decor! Little boy blue did not blow his horn, but would hang his head out the barn door with Grandpa to call for the cows to come from the pasture back to the barn. These bright eyes are cute enough to put a smile on anyone’s face. 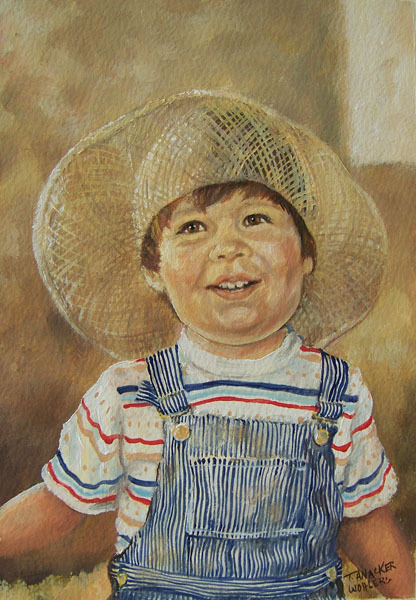 If you’re looking for framed artwork to fit into a country style home, this rustic framed oil painting of a country boy would fit right in!